Looking at your desktop! So, those are actually photos of him? It seems like he would be a hard person to photograph, nevertheless get on the web. Yeah those all look like real photos. I have NO idea where they came from, or how there are so many (I don't think it'd be easy to get that many even of Obama looking at things). But I'm so glad someone decided to collect them. Maybe it was one of Kim's sons. Well, they may have enough freedom to do such, or too much supervision to do such. Btw. who's his wife? I don't recall every knowing her name. 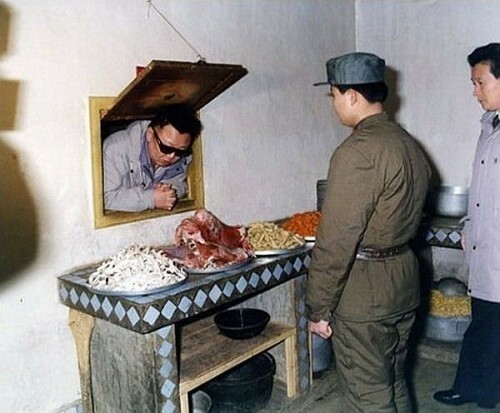 Kim Jong Il looking at perpetuality! Parry Gripp needs to do a Kim Jong Il song.